TarTrap premium cigarette filters, highest quality on the market! 100% satisfaction guaranteed or your money back. 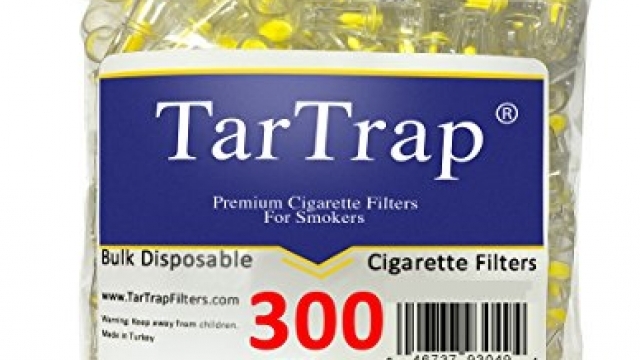 TarTrap filters help reduce the tar by up to 90% and many smokers love it because the taste of the cigarette does not change! After a couple weeks after using these filters, smokers may see their morning cough reduced or even eliminated. The plastic, which TarTrap filters made of is the same kind as used in production of baby-food bottles. So, naturally, it is harmless to health, nontoxic and causes no allergy. Each TarTrap filter can be used up to 6 times however usage may vary with every smoker due to the length of drag. Regular use of TarTrap cigarette filters reduce coughing, shortness of breath and relieves sore throat. It also minimizes yellow-brown stains on teeth and fingers caused by smoking. 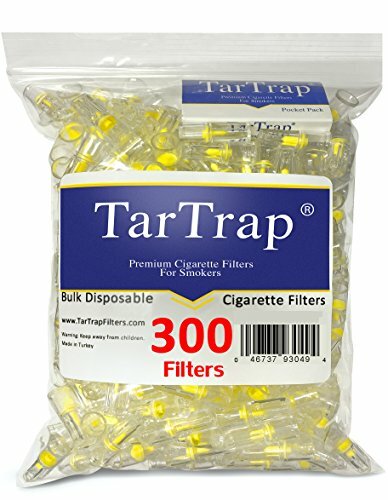 Benefits of using TarTrap premium filters: reduces up to 90% of tar from entering for lungs help reduce & quit smoking reduces coughing & shortness of breath minimize stains on teeth and fingers the most convincing result of TarTrap utilization is relief of tormenting morning cough, experienced by the most aggressive smokers. Since TarTrap takes the tar out of smoke. It is so obvious, when the black substance is gradually collected after each cigarette and visualized through transparent walls of cigarette holder. TarTrap extracts up to 90% of the tar from cigarette smoke and substantially lowers the level of nicotine.